Groundhog Day recently passed us by a couple of days ago on February 2nd, and while we were all trying to decipher what Punxsutawney Phil saw or didn’t see – it promptly snowed in the northeast. 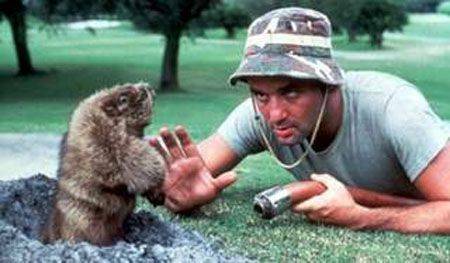 There’s something scary about an entire country planning their lives on the prediction of a groundhog. Punxy Phil actually looks like a better candidate for this fall’s general election and appears to be someone who would share his food, and also protect his home aggressively…making him a Moderate, right? 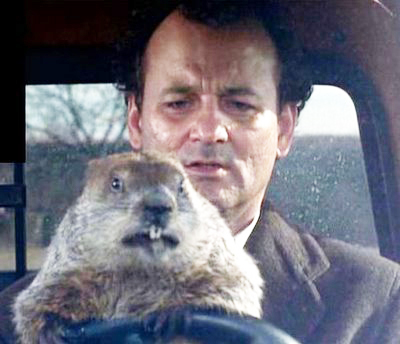 Anyway, when Groundhog Day arrives it reminds me of that great movie with the same name starring Bill Murray as Phil Connors, which debuted in February 1993…and it also reminds me of the brief interaction I once had with one of my favorite comedians. The story goes that I was working in the magazine publishing industry in the early 1990’s – or in reality actually working my way OUT of the industry is more like it. At the time I was selling advertising space for a very targeted shelter (home) magazine owned by a large publishing company with corporate offices in the West 50’s in New York City. The joke among the ad sales team was that irrespective of category of advertiser – we were always the third magazine in a two-magazine advertising page buy. It was summer 1993 to be exact, and that summer, as comedy fans will remember, David Letterman left NBC to start the Late Show with David Letterman on CBS. Much ado about this in the press as those of you alive or awake in that era will remember David lost the Tonight Show desk to Jay Leno. Fans of the Letterman show on both channels will also remember that the very first guest on Letterman’s NBC show in 1982 and on his first CBS show on August 30, 1993 was none other than Bill Murray. 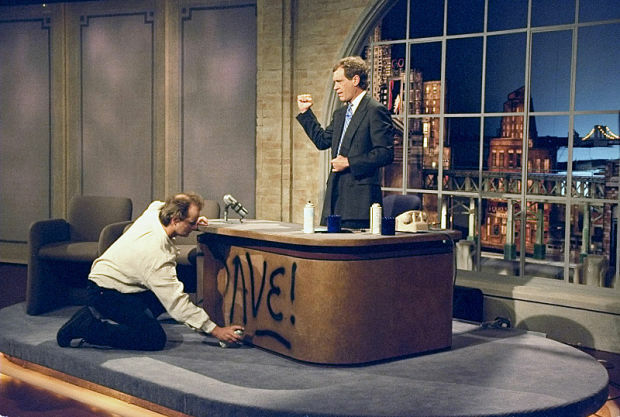 Murray’s return to the Letterman show was highlighted by him spray-painting DAVE on the front of Letterman’s desk. While the magazine industry was known for lavish expense accounts in the 80’s and part of the 90’s, the reality was that taking a client out to lunch was done on a more selective basis, and often one would be finding their own lunch on their own. That August 31st, the day after Letterman’s opening show, I wandered down to a deli of which the name escapes me now, but was on the corner of 57th Street end 7th Avenue for lunch. This deli was a large restaurant with a good amount of seating and in the middle of the floor sat a counter in a half to three-quarter moon shape. I plop down in the only empty seat and order my lunch…sipping on an iced tea (lunch with a client would have been a cocktail for sure). The person sitting next to me finishes and goes to the checkout to, well…check out. 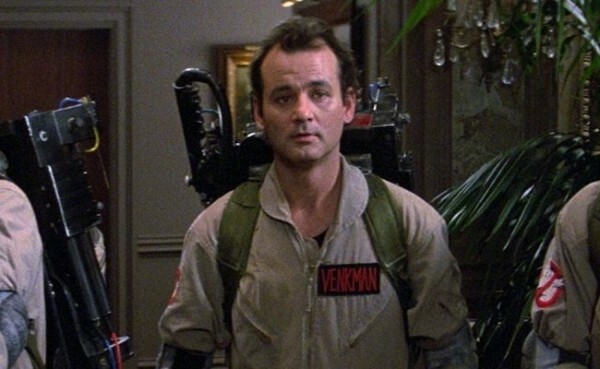 Sitting there with the only open seat at the counter, a guy steps up and says “hey man, is this seat taken?” I turn and see Carl Spackler, er Dr. Peter Venkman, er Phil Connors…I mean Bill Murray standing there expressionless as only Murray can do. I say “its all yours” – just guessing that I was that cool – but likely wasn’t, and he plopped down next to me. I quickly change the subject and say “you were hilarious on Letterman last night.” Murray back to me, “You really think so? Not sure I’ll be invited back anytime soon, Dave seemed more than a bit unhappy.” We laughed. It was a quick exchange, but I had to go to an appointment and needed to leave telling Murray good-bye and bon appétit. In reminiscing about this exchange, I thought although it was brief, it was genuine. I didn’t say “hey aren’t you Bill Murray?” or invade his space except to respond to him, and certainly it was a pre-selfie time, so there was none of those shenanigans. You read articles on Murray over the last few years with a variety of opinions on his personality; “difficulty to work with,” “falling out with old friends,” etc. All I know is he was gracious to me that day and maybe because it was earlier in his career, or just the casual nature of our interaction. He was normal (as normal as Murray gets) and engaging. I still believe he is one of the best deliverers of a deadpan comedic remark in the business today. 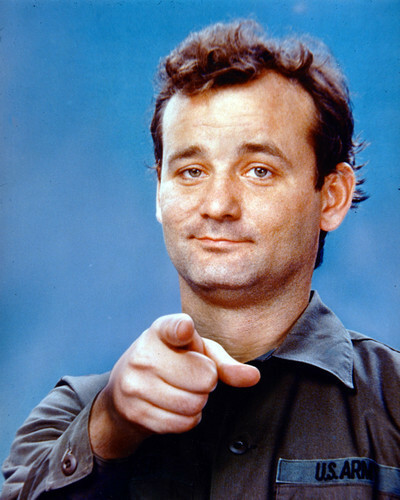 That’s all for that story – but Bill Murray also has been thought to be inspirational at times…just Google up “inspirational quotes by Bill Murray” for some real classics.